I have SO much to tell you about, but I'm on the road for work. For now, I give you this. In fact, I'll go ahead and make it extra large for you. 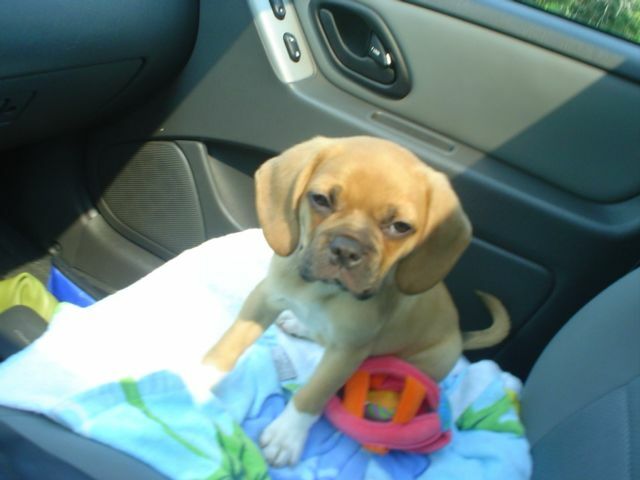 This is Brokaw puppy, the Summer of 2006. What a great Summer. In this trip, we were driving from Pittsburgh down to Nags Head for July 4th. He was the cutest puppy I have ever seen, and I wish almost on a daily basis, that I could shrink him back down. I'll write some real stuff soon. I promise. Thanks for hanging with us. Cutest puppy ever, I always wish they could stay puppies!